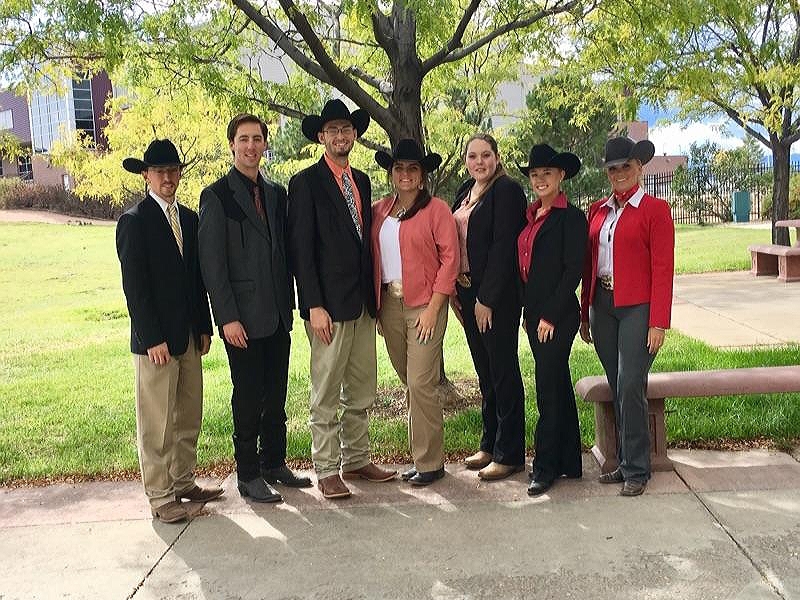 The University of Wyoming horse judging team strung one strong finish after another last fall to complete the season in the top five at the All American Quarter Horse Congress and National Reining Horse Association and top 10 at the All American Quarter Horse World Show. “They work hard, traveling Wyoming and Colorado with practices and workouts inside and outside the classroom at horse shows and seminars,” says coach Jennifer Ingwerson-Niemann. The fifth-high finish at the National Reining Horse Futurity collegiate contest in Oklahoma City November 28-29 was UW’s best performance ever at that competition. Team members completed a written rule book exam on day one and scored live horses on day two. The team’s top individual was Tanner McClure of Riverside, California, who was 15th. 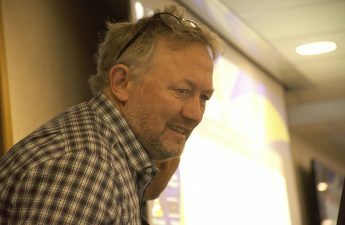 McClure joined the team with no previous experience. At the Quarter Horse World Show, “the best of the best,” November 12 in Oklahoma City, the judging team earned eighth overall, seventh in halter (standing), seventh in performance (riding), and ninth in reasons. Rayne Benson of Laramie placed 14th out of 66 competitors. At the Quarter Horse Congress October 18 in Columbus, Ohio, the UW team earned fifth overall, fifth in halter class, sixth in performance, and sixth in reasons. Robin Ferguson of Gordon, Nebraska, was ninth-high individual and Benson 15th out of 66 competitors. 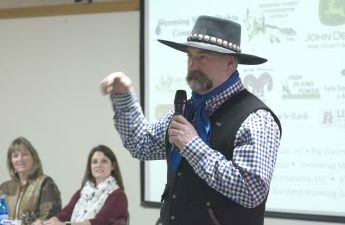 “The horse judging team is grateful for funding from the Riley Endowment, founded by Mel and Isa Riley, and the UW Department of Animal Science,” Lindsay says. 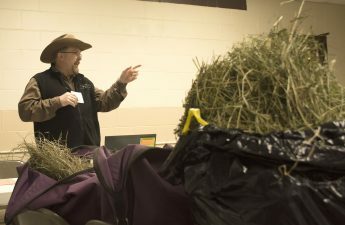 In addition, the judging team hosts judging clinics, participates in a team holiday meat sale, a tailgate cookout, and a football game day raffle to raise funds to cover expenses.